Pangga ta Ikaw is excited to share with you all that we are in the process of building an indoor play area for the special kids at the Romblon East Central School in Romblon, Philippines. 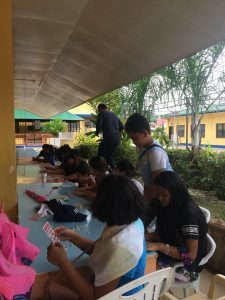 Aside from nurturing the mental development of special kids in the Special Education ( SPED) program it is also important that they develop wholly as individuals, such that their mentors and caregivers need to consider their psychological needs as well as advancing their social and motor skills. Most of the kids who start school are either shy or just not used to being with other kids, thus they are anti-social or not able to interact well with other kids or even the teachers. Of course interaction with others is also limited due to poor communication skills. They cannot develop strong friendships with other kids in the neighborhood because they cannot express themselves well. Growing up, their parents must have focused more on their developmental milestones, like teaching them how to walk on their own or encouraging them to learn to talk, or assisting in their eating skills, but developing social skills might have been put in the background. Do kids with special needs know how to play? When we see children with special needs, we might even ask ourselves. Are they able to play with other kids? Are they able to follow instructions on how to go about a certain play? Of course, just like normal kids, they know how to enjoy ; they even giggle and laugh at the simplest things like blowing bubbles or doing peek-a-boo or catching a butterfly. Free play would let them become adventurous and creative, as well as develop their motor skills like walking, balancing and running. 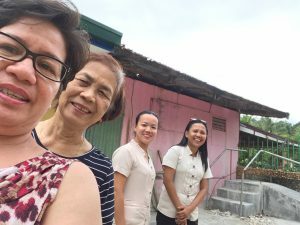 I’m happy that the SPED teachers at the Romblon East Central School ( where our project is ) are so passionate in teaching their wards on how to write their names and read the ABCs and they thought of their holistic development by planning to provide them with a mini-therapy area exclusively for them. 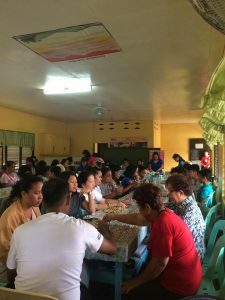 Before we started, we only had a very small amount of money from some small fundraisings for our transportation project like selling pantry products and holding small parties at home for families and friends. 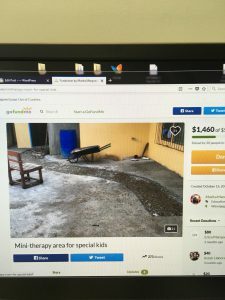 This plan of putting up a mini-therapy area for our kids with special needs is a project which is something big, quite scary at first because we didn’t have enough money , so when the teachers presented their need to me, I brainstormed right away on how to raise funds. 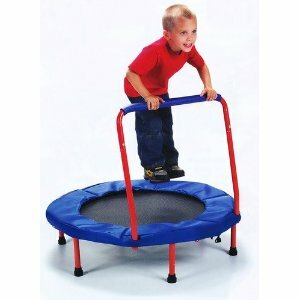 A mini-trampoline that will enhance the kids’ motor skills and develop confidence and coordination. 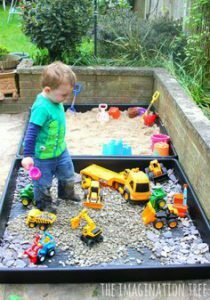 Sandboxes, where kids can become creative and gross and fine motor skills will be developed, as well as tactile ability, and eye-hand coordination. 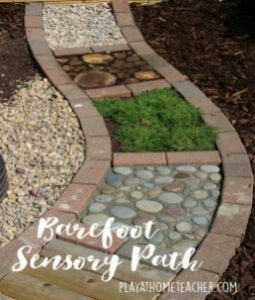 The sensory path that will develop gross motor skills, balance and body coordination . thus, we look forward to hours of laughter and giggles for the kids. Aside from enjoyment, they will also enhance their exercise capabilities and improve their social skills as they learn to play with other kids. We started with a $2000.00 goal in October 2017 and thanks to some generous donors we were able to start the project two months after. Pangga ta Ikaw is proud to say that we have started to construct an indoor play area at the back of their resource room in December 2017. Preparation of the flooring soon began. 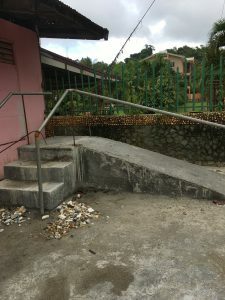 The stairs were built to enhance the kids’ motor abilities, balance and coordination. Counting while going up and down the stairs will add to their basic math skills. The future sensory area is in place. Since the flooring is done, building the roof is next in line and more money will be involved here. So we raised our goal to $ 5000.00. We are just close to the $2000.00 goal this time but I believe that we will reach our ultimate target. Please visit the Go fund me page and consider helping. We would greatly appreciate your support. to something concrete to stand on, we hope to continue and finish the project . It was a very fulfilling visit to my hometown and to our ongoing project. Who knows, it could take a few months to a few years. But definitely, we will finish what we have started. My family went to spend the holidays in Romblon, Philippines in December 2017. 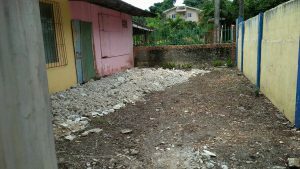 Before going, I already planned for something that the community can participate in with the objective of creating awareness of the mini-therapy area project and inspiring the parents and the whole community to support. The BINGO SOCIAL done on January 12, 2018 was a great success ! There were screams of joy and laughter as the games progressed. There was outpouring of support from the whole community as well. 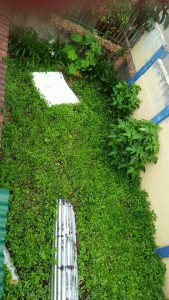 We witnessed the willingness to help of a lot of people and we learned that if everyone chips in , something big can be achieved. Parents, teachers and donors had a great time hoping not only to win but to give support as well. Games with numbers and stones was a hit to help build the mini-therapy area. In this event, we even enjoyed the participation of the special kids in the program presented before the games and it was a joy seeing them showcase their talents in singing and dancing. 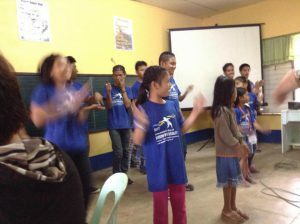 The special kids sang and danced before the games even began to the delight of everyone. Now that the flooring is done, with some structures underway, such as the staircase and the sensory path, we will continue with the roof in the next few months. As of today, we don’t have enough money to finish, but we believe that there are a lot of generous donors out there. We will definitely continue what we have started to offer our special kids an area where they can be free to romp and laugh. And thus, they will develop confidence to walk and run and chase their dreams. Help us make this vision a reality. Kindly share your blessings to our special kids in Romblon, Philippines. Visit our Go fund me donation page and consider helping. We and the special kids would be forever grateful for your support. Do you agree that special kids need an indoor play area to develop their motor and social skills? We would love to hear your comments and suggestions, please post below. We have an advertising relationship with the stores or affiliate sites we link in this post. We get a commission when you click and buy products or services with them. 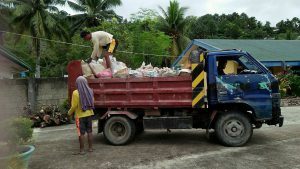 Your fees are not affected at all and you are able to help the special children in Romblon, Phillipines . I learned how to put up this website from Wealthy Affiliate. Click the image below if you want to start yours, too. You could even monetize it and earn later. Yes, kids with special needs really should be our top priority. They truly need our utmost care and support. Good luck to your cousin. Is he on therapy at all? I would appreciate the efforts being put up by you in providing this Special Education program to the needy children. These children not only need proper attention but also be given encouragement in different fields where they can excel. I have seen some of such children rising to exceptional levels if they are taken care of properly. Thanks Arun for the very nice and encouraging words. Truly our special kids need extra care and attention. And they have lots of room to develop fully and excel at their best. With the special education program, our special kids can and will be able to become the best version of themselves. Thanks again for stopping by. Children with special needs are truly close to my heart because in our family, I have experienced the joy of living with them, my 2 siblings, 2 nephews and a niece. Unfortunately, Pangga, my sister with Down syndrome, whom this website is dedicated , died almost 4 years ago. But her memories will always be with us. 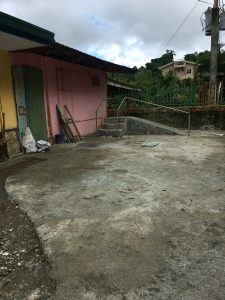 We are starting to build this indoor play area at my hometown in the Philippines for the special kids in the school for them to have fun and develop their motor, sensory and social skills. This seems an incredibly nice idea. This is going to help so many people. I am sure the children are going to love it. Moreover it is going to be exercise and play in the same time. I am so glad people start to think about things like this. Yes, it will be fun and a form of exercise for the kids as well as development of their motor and social skills. Wow! 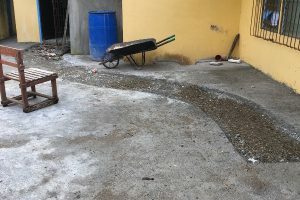 Such an awesome report of what you’ve been doing, and of the power of generosity to support such a project and make it happen! I’m from Australia, but still it is really inspiring to see what people are doing in other parts of the world to help children with special needs. I really wish the best for you in your endeavours to help more children! Helping special children achieve their fullest potential is possible with the support not only of their immediate families but the whole community and even people outside their circle. I believe it is the responsibility of everyone, to offer love and care to every child with special needs. Next Next post: Special Educational Needs for Children-starting early is the key!